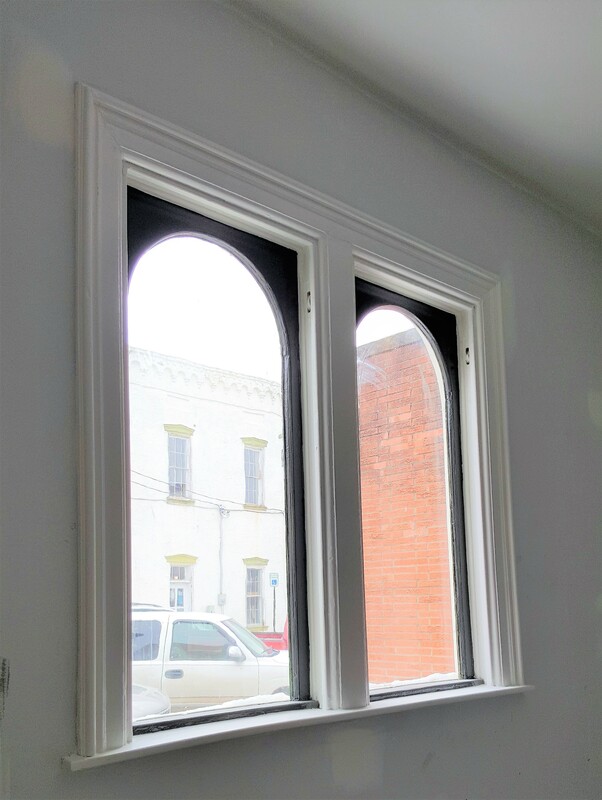 Windows are such an important part of any space and preserving historic wood windows is a big part of any restoration project. 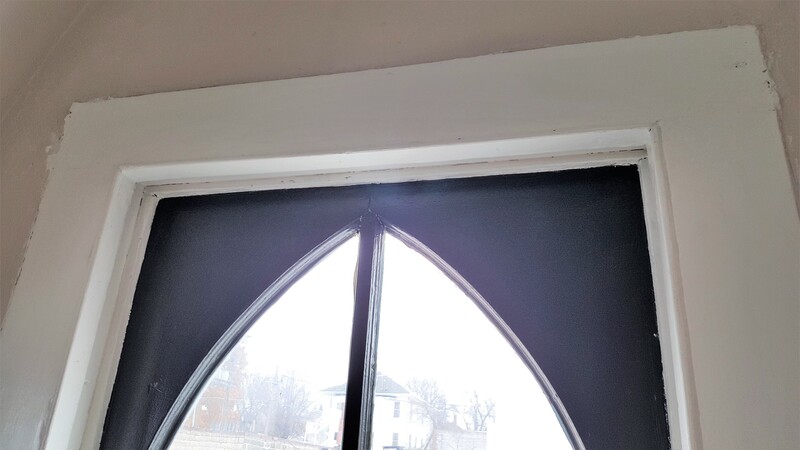 Windows allow light and airflow to enter a space as well as give a connection to the outside, which is why getting the windows operational is critical to allow fresh air when needed the old-fashioned way: by opening the window! What a brilliant concept. 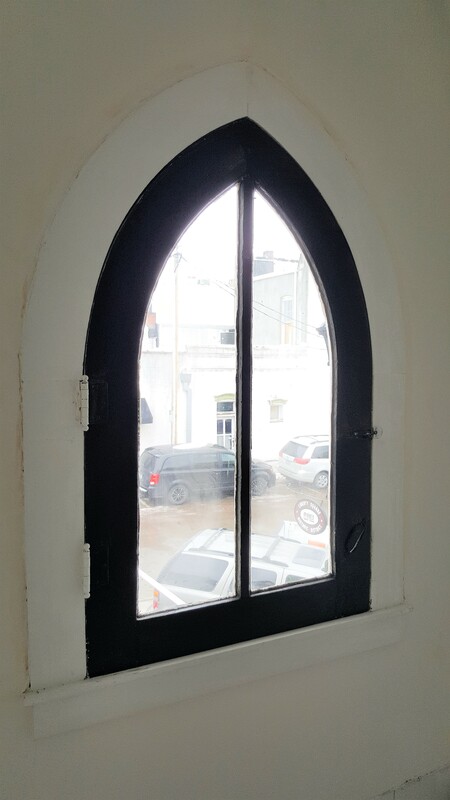 In our new building the windows are true to the building with several having the gothic shape or rounded tops so they have a lot of character but unfortunately, they didn’t have much purpose in the state they were in nor could they be easily replaced. Most were painted shut and covered in numerous layers of old paint. Our go-to window repair man is Liberty’s own John Carr, but he was not able to get to our project in the needed time frame so he referred us to Jim Snead, who has been a great asset on the project. He has rehung all of the old weights where they existed. 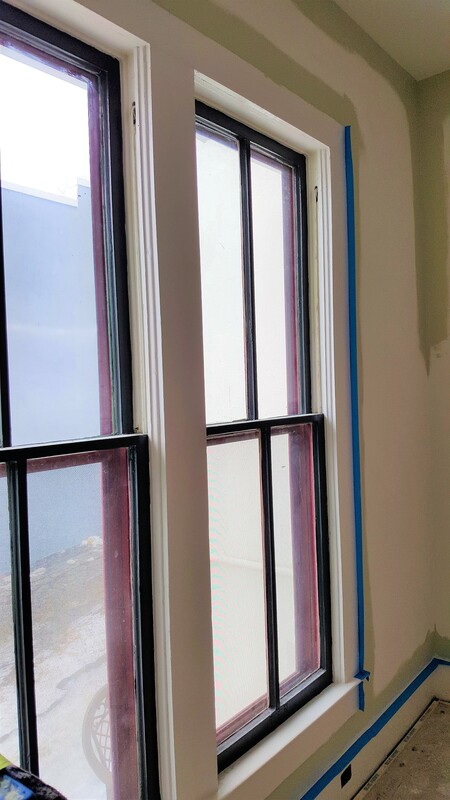 He has scraped and repainted all of the windows and repaired the trim in several locations. 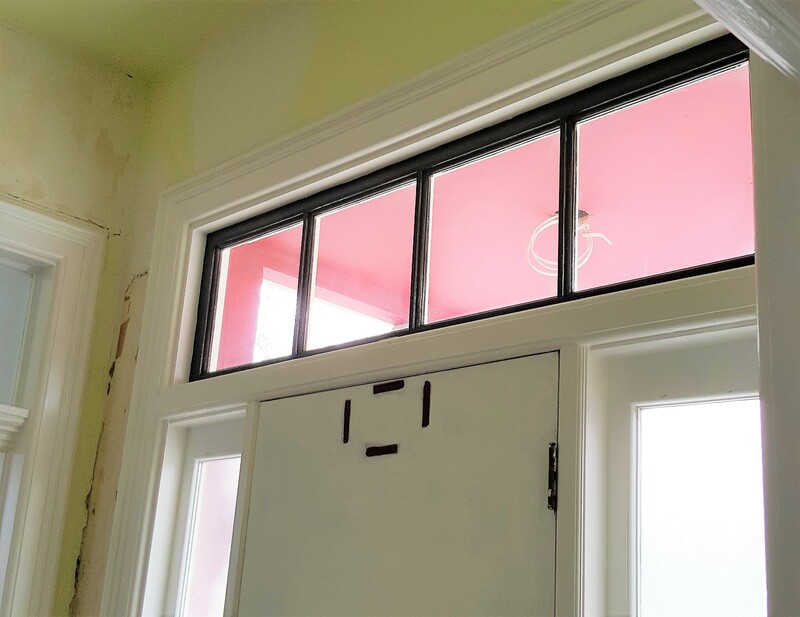 For a design pop we decided to give the windows a fresh look by painting them black with white trim. We used black windows on the Main Street Goods and Goodies color refresh last year and really liked the effect. Exterior will be painted with a brown/gray trim with black windows and the historic wood detailing will be added in the spring when the weather cooperates for exterior painting.